Pernod Ricard has registered the trademark Havanista in the US with a view to launching the brand there if the country lifts its embargo on Cuban imports. The move follows yesterday’s decision by the US Supreme Court not to intervene in the long running dispute between Pernod Ricard and Bacardi over the Havana Club trademark. 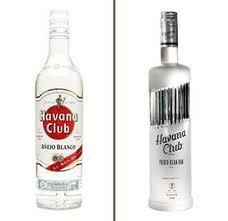 While Pernod Ricard has the distribution rights to Cuban rum Havana Club outside the US, Bacardi USA sells a product under the same name, which is not produced in Cuba, within the US market.